What is the fastest way to lose weight? What we should do to loose weight is widely known: Eat less fat, less sugar, less quantities from all. All the difficulties, however, are starting from the moment we begin to implement these principles. 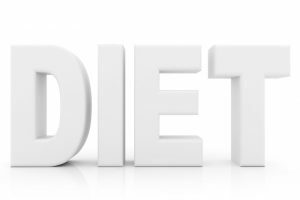 It is no coincidence that many are starting a diet, but they abandon the effort after a few days. 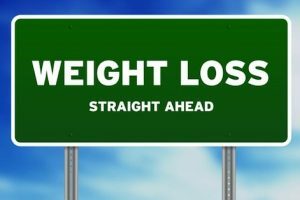 What should you therefore pay attention to for a successful weight loss diet? What can we do in order not to quit and never tire and how to resist the temptations? Follow our weight loss tips for the fastest way to lose weight. What is the fastest way to lose weight? What we should do to lose weight is widely known: Eat less fat, less sugar, less quantities from all. All the difficulties, however, are starting from the moment we begin to implement these principles. It is no coincidence that many are starting a diet, but they abandon the effort after a few days. What should you therefore pay attention to for a successful weight loss diet? What can we do in order not to quit and never tire and how to resist the temptations? A necessary condition to start a weight loss diet and make it successful is that the decision should belong exclusively to you. It is difficult to meet such a challenge when you do it to satisfy the desire of others. 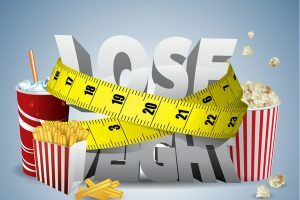 If the inducement for weight loss comes from the wife, mother, friends, then the incentive is not enough to suffer the restrictions that a weight loss diet implies. Do not take any commitments in front of others. Bound only towards your self. There are no magic diets, so the goals you set must be feasible. If you have already experienced a weight loss failure then that increases the chances of quickly being disappointed. Therefore, do not set a target to lose more than one kilo per week. This also ensures greater fat loss. Do not forget also that, since the start of a diet results in a change in lifestyle, such changes take place gradually, so as to adapt to new realities. Avoid making statements, which may very quickly turn against you. Phrases like «I will never eat sweets» or «I will go to the gym every day, whatever happens» will awake feelings of guilt the first time you will be in a moment of weakness and surrender. And it is very likely these feelings of failure to discourage you. Spring is usually the best time to start dieting. Fruit and vegetables are plentiful and you have so many options. The weather also has begun to warm and that means you will be less hungry. Generally speaking, do not attempt to start a weight loss effort when you experience other serious problems when approaching holidays or have some social obligations, usually accompanied by rich and sweet dishes. Avoid diets that restrict you from eating all types of food. Do not be limited in eating only two or three types of food. Be sure to follow a balanced diet that contains all the food groups, so that you will not get bored, but also in order not to cause problems to your health. The variety of foods minimizes the chances of significant nutrient deficiencies in your diet, and also minimizes the risk not to withstand the monotony. Be sure to follow a weight loss diet that will be suitable for you. In other words, it should be suited to your lifestyle and your habits. In collaboration with a dietician, you find a weight loss program that suits you and be practical in application, so as to fit smoothly into your daily routine and is easy to revert to it after a period where you will not be able to follow it strictly e.g. vacation, unexpected travel, holidays, etc. It is impossible to continue for a long time a diet that forbids you, for example, pasta, if this is your favourite food. When trying to lose weight, most often it is the cooking method that you should control and not the food. Use your creativity and also your imagination. Forget about the tasteless and miserable dishes. The basil, garlic, pepper, fresh onions and parsley will give flavor and color to your food. Your meal can also change appearance and taste in other ways, which will not give you extra calories. For example, use different kinds of pasta for variety, spaghetti, pens, etc. It is wrong to assume that the fastest way to lose weight is by omitting meals, even if you are not hungry. Most of the times this does not have the desired results. Regular meals during the day helps keep the body alert and make the metabolism work, thus increasing the combustion. Deprivation is one of the biggest mistakes in a weight loss effort, because it leads to a sharp drop in blood sugar and fainting, which ultimately is likely to lead you to eat more. Often our body can repress the feeling of hunger, especially in the morning hours, when most of you are very busy. Prefer to eat during the hours which you consume more calories. It is always preferable to have a light dinner and a rich breakfast, because the increased activity of the day assists the burning of calories, which is not happening before to sleep. It is expected to remain to the same weight, while you diet. If, for example, you are 70 kilos and want to lose 10, but see that you are stuck at 65, this is because for a long time you were 65 kilos. You should not be disappointed and abandon the effort. You must be persistent and stay unaffected by applying your diet. And slowly you will see with pleasure that the needle of the scale will move. 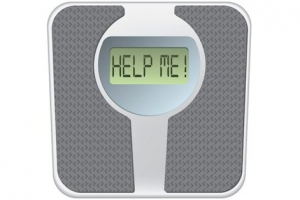 Your impatience to see as soon as possible the visible effects of the weight loss diet leads you to constantly use the scale. However, this is a pointless move, because it is not possible to lose weight every 24 hours. Furthermore, your weight can fluctuate, due to the menstruation cycle or even the quantity of liquids you drink. Therefore the continuous daily weighing does not offer any useful information. On the contrary it is causing your stress, which may be detrimental to the progress of the diet. The «meeting» with the scale should not become your obsession. The frequency of weighing should not exceed once per one week. • 3 prunes or other dried fruit. The difficulty here is to consume small quantities and not exceed the suggested dose. Also, it is better if you want to eat sweet, to make it part of your meal, and not to eat it in between meals and thus on an empty stomach. If you continuously refuse to go out for lunch, your weight loss diet and efforts will be converted into hard labour. To avoid destroying your efforts and hard work, you must adopt this strategy: Order only salads without sauce, barbecued meat, fish, grilled or steamed. Be sure to start your meal with a salad, preferably a green salad, because the vegetable fibers occupy volume in the stomach and create a feeling of satiety sooner. Remember that your goal is not perfection and that the weight loss diet is not punishment. When starting a diet, a lot can happen in the path. The most important thing is not to go back. Do not quit with the first difficulty. If, for example, for any reason you miss a meal or eat something «forbidden», you should not be discouraged. The most common reactions are either to give up your weight loss efforts or to eat nothing in the next 24 hours. The correct thing to do is to forget about it and continue with the next meal of your weight loss program. For most women menstruation is a tough test, as 50% to 80% of women express a strong craving for certain foods, particularly sweets. So start your diet after the 6th day of your cycle, so as to start with the best conditions this process, without additional difficulties. If you are at work or elsewhere and you cannot prepare your meal as provided in your weight loss diet, then you can make some smart choices with very few calories. The important thing is not to skip any meal and not leave your stomach empty for a lot of time. • Try to order something similar to that defined by your diet. • Order a Tuna without sauce without oil, with lemon or vinegar, or a village salad, and eat only half the portion of cheese, or a mixed green salad. • If you like toast, please order it with a slice of cheese and tomato, without butter. • Eat a cookie or 2-3 crackers or 1 yogurt with fruit. Do not deviate from your diet even if you are having a ‘crisis’, the secret is to fill your refrigerator with low fat foods. Want something crunchy? Eat a carrot or a radish. Want something creamy? Eat a low fat yoghurt. Drink water every time you feel hunger and is still not the time for the next snack or meal. During the diet, other than water, you can drink soda, mint, chamomile, cold or hot. If the coffee is essential for you then you can still drink coffee during a weight loss diet. You can even add a teaspoon of sugar, which provides 20 calories. If accompanied with an apple or a glass of cool water will enhance the aroma. If you always liked to pick on the couch watching TV, you can do it now, as long as you eat raw vegetables or fresh fruit. Why I am not losing weight? 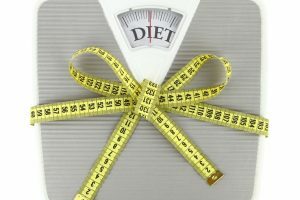 Weight loss with crash diets, is it possible? I really liked this website! It helped me find some really good tips, for me and my mom! Tips for Effective weight loss and how to avoid the yo-yo diets?